I thought I would discuss some changes that are happening in the industry that you may or not may be aware of. 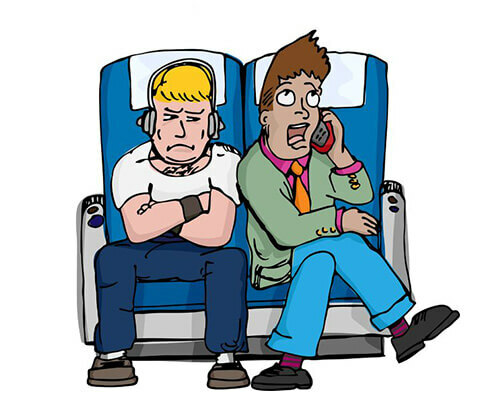 For example, Qantas has announced that starting in June, 2009, qualified individuals may be assured of getting an exit row seat by paying a fee. On their long haul flights, such as Los Angeles to Sydney, the fee will be $150.00 in each direction. That works out to be a little more than $10.00 an hour for a little extra space. One does have to meet all the usual requirements of being between 15 and 65, able and willing to follow directions and be able to assist in case of an emergency. The interesting aspect of this to me, pricing aside, is that according most reviews, the exit row seats on the 747-400s and Airbus 330-200 are actually undesirable seats that lack storage space and are frequently uncomfortable due to the fact that there are fixtures that reduce the amount of room in the seat. The only aircraft that it seems to make any sense to spend money for an extra row seat is the Airbus 380 and then only if you are getting the rear most exit row. And even then you are seated next to the self serve bar so you will have people standing in the area that you paid extra for. As you can see, I’m not sure that’s a great deal. Then there is the Air New Zealand Promotion, it’s a Matchmaking Flight. The idea is to help Americans and Kiwis to meet and mingle and to find that special someone. One can opt for a pre-flight party in Los Angeles, the flight and then the Great Matchmaking Ball a day after arriving in New Zealand. So if you are interested in meeting that special Kiwi, this might be the deal for you. Then came the news that Delta will start charging a $50.00 fee to check a second bag on international flights between the USA and Europe. This will apply to all passengers who aren’t at least Silver Medallion or higher or members of the US Military traveling on orders. The one constant in the travel industry is change so I’m sure that we will be seeing more change every day.